WITH the much anticipated World Cup underway, several streets in West Belfast are embracing all things football. 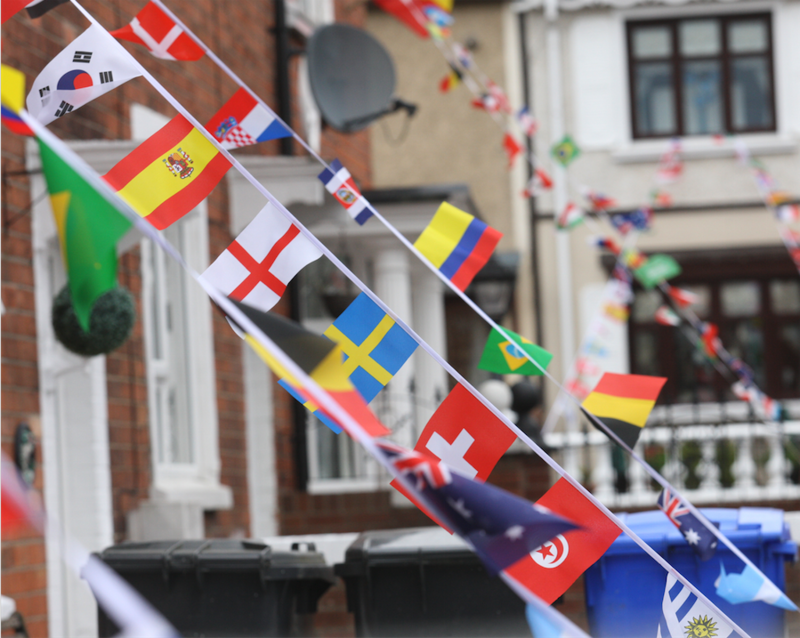 World Cup fever has ignited across the community with pubs decorated in the national flags of the competing teams, while residents in Whiterock Crescent and St James’ have also hung out bunting and flags representing the countries taking part in the momentous four weeks of football. Flying the Saudi Arabian flag outside her St James’ Crescent home Caroline Murphy told us: “We will be watching the football – my husband definitely will be. “A lot of the St James’ community workers from the area came around and offered to put up the flags and flags poles as a way of getting into the spirit of things. “There is a World Cup street party organised for the children from noon on Saturday and my two daughters Shannagh and Madisen from St Kevin’s Primary School are really looking forward to it,” she said.